Almost any town or city you visit around the world has unique statues or sculptures in public areas. Here are some I've captured in photos from Barcelona to Beijing and many points in between. Most places have the stodgy statues paying homage to historic national leaders and founders of the local areas, but I have gravitated toward some unique and little known works of art at the places I've visited but also had to include the "mother" of all the statues -- the Statue of Liberty. Here's a travel secret: You can see the Statue of Liberty for free! That's how I captured this photo. I took a ride on the Staten Island Ferry which doesn't cost a dime to ride and it cruises right by the Statue of Liberty. It's the best deal in New York City and you can get a free trip in New York Harbor - great for cheap vacations and ideas for saving money in Manhattan. When I lived in the Big Apple over twenty years ago, they used to charge $.25 to ride it. 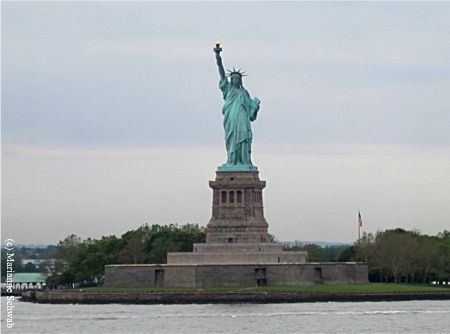 The Statue of Liberty is the top of my list because it's one of the most unique and the most famous statues. The Statue of Liberty is one of the only statues I know of where you can actually go inside the statue and climb to the top. I actually took the tour in the mid-eighties and went all the way to the crown. You used to be able to climb inside the torch, but that hasn't been assessable for decades. Once you do get to the top, you'll enjoy a magnificent and unique view of New York Harbor. If ever you get to New York City and have the time, definitely ante up the extra bucks and go to the Statue of Liberty. Here's a brand new way to see New York for less: The New York Pass that has great discounts. 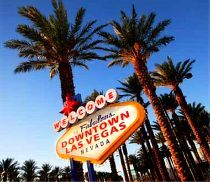 I also like City Sights All Around Town plus the Statue of Liberty & Ellis Island package to see the city on the double decker bus tour that's also a very good value and you can easily hop on or hop off. 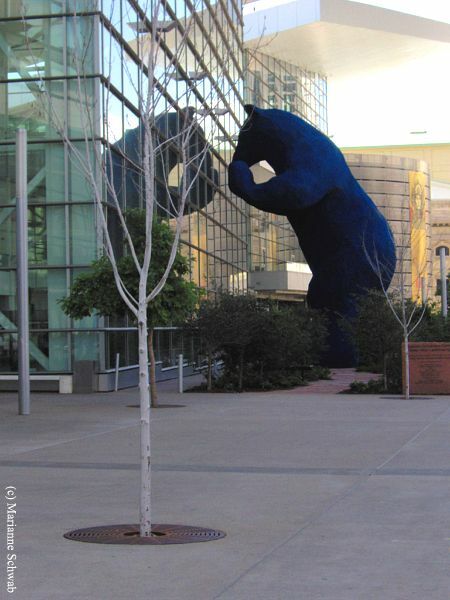 When I was in Denver a few years ago, I saw this black bear statue that was three-stories tall peering into the Denver Convention Center. Grizzly thought to meet a bear this big, but I thought this was such a whimsical concept. On a walking tour of Cartegena, Columbia, I enjoyed the local color - literally - brightly dressed fruit sellers carrying bowls of fruit on their heads. 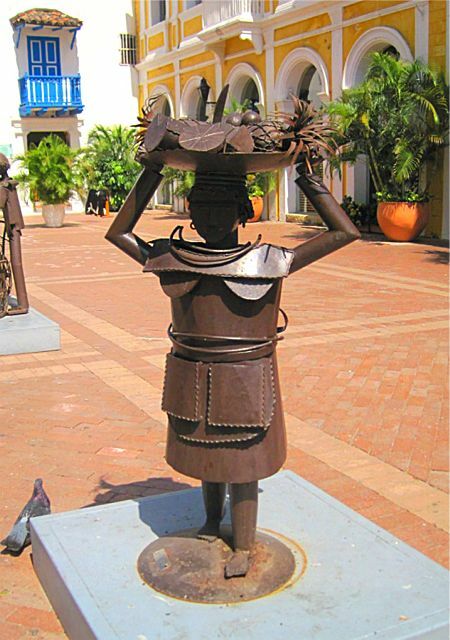 The city pays homage to these important and colorful business women with this sculpture. 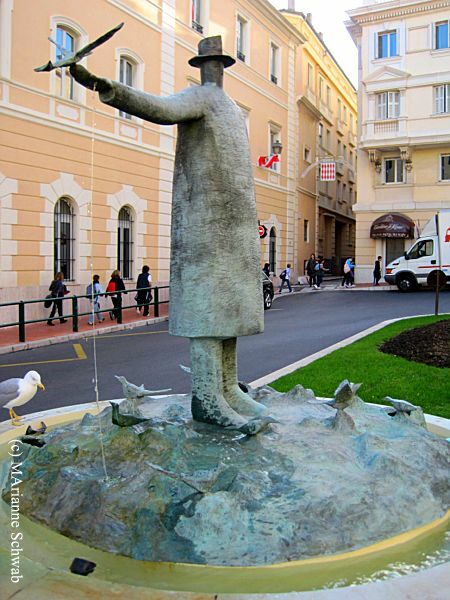 Right across the street from the bus stop for the #1 Bus (Saint Roman) to the Grand Casino in Monaco, you'll find this captivating statue of a man feeding the birds. I like how the a "real bird" joins this scene. Gaudi's Sagrada Familia in Barcelona contains a mecca of unique statues celebrating the nativity and Christianity. You'll stand in awe of the amazing creativity of the design of this extraordinary cathedral. 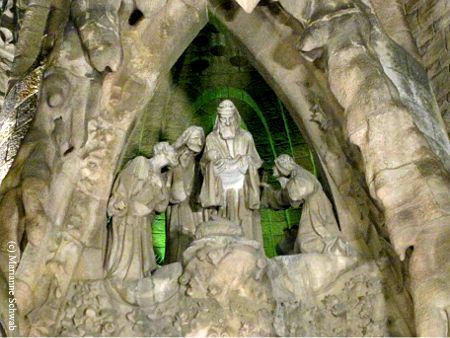 This nativity scene is just one example of the many sculptures within the exterior design of the Segrada Familia that was one of the stops on my double decker bus tour of the city. There's no denial that the teachings of Confucius (551-479 BC), founder of the Ru School of Chinese thought, have had a major impact on China and the world. He was a thinker, political figure, and educator. 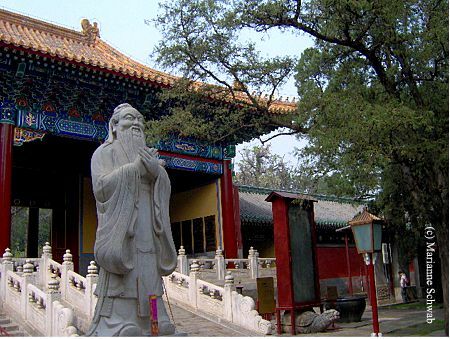 If you visit Beijing's historic sites and temples, you'll find this statue of China's sage teacher in one of the courtyards of the Temple of Confucius located on Guozijian Street inside Anding Gate. Initially built in 1302, additions were made during the Ming and Qing dynasties. 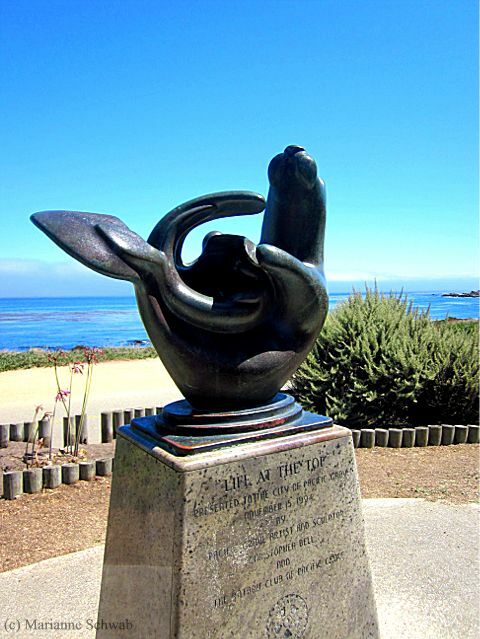 I love the whimsy of this sea lion statue that I discovered on a bike ride along the coast of Monterey Bay in Northern California not far from the Point Pinos Lighthouse. The area is full of these adorable creatures swimming in the bay along the rocky coast and sun bathing with their friends. No wonder this statue is titled Life at the Top. 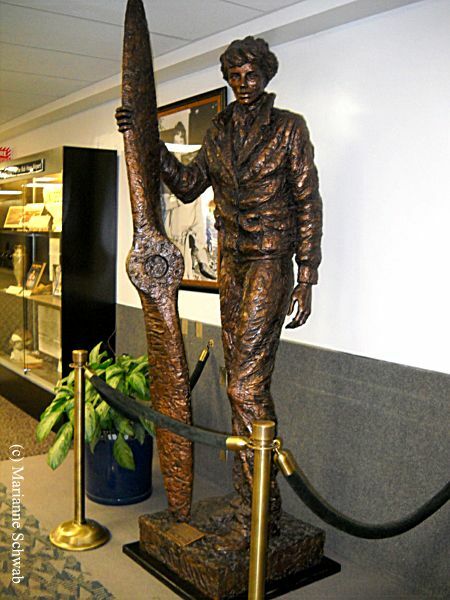 Breeze through the Bob Hope airport in Burbank, California, and you'll see this wonderful statue of the first lady of aviation, Amelia Earhart (1897-1937). This statue stood in North Hollywood Park for 32 years and is a gift of the sculptor, Ernest Shelton, and Decker Studios to Bob Hope Airport, Amelia Earhart's home field. The airport has a mini-museum of commercial airline items including vintage flight attendant uniforms and other artifacts. Finally, I love the rides and attractions in a little town called Disneyland and only recently discovered this statue of its founder and his pal, Mickey Mouse. It's located at the top of Main Street before you get to Cinderella Castle. It's titled Partners and has a plaque with this quote from Walt Disney, "I think most of all what I want Disneyland to be is a happy place...where parents and children can have fun together." 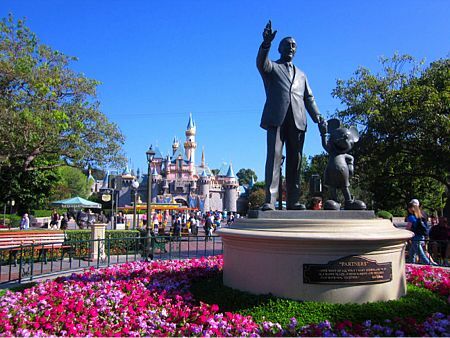 I think the kid inside all of us will always appreciate Walt Disney's vision to create the "Happiest Place on Earth" in Anaheim, California. Do you have photos of cool statues and sculptures you've taken during your travels? I'd love for you to share them here and tell me a little about them.